This Thanksgiving/Christmas/Hannukah/New Years (did I miss anything? ), if you’re doing any shopping online, start with my website! I often receive promotions from my affiliates (such as online promotional codes for a percentage discount or reduced shipping), and I’m going to make sure to keep them updated in my Shop during the Holiday Season. I expect to get bombarded by promotional codes around Black Friday and Cyber Monday, so stay tuned. I don’t literally have a shop, as in products that I make and sell. But see that link that says “Shop” in the top right hand corner of my site? I’ve got all sorts of (mostly) relevant links to products and stores online, and if you follow that link from my website to the store, and purchase something, I get a small commission. I’ve got big stores, such as Target, Kohl’s , and Walmart …plus, I have smaller, more product-specific stores like FitBit, Zumba , Honest Company Diapers , Tiny Prints, and Fabrics-store.com . So let’s say you already know you want to purchase Christmas cards online. If you click on “Shop” in the top right hand corner of sweetpeasandsoybeans.com, scroll down to “Other Mama/Baby Items,” and browse the options there, you’ll see a link for Tiny Prints. Click on the link, purchase some Christmas cards, and I’ll get a small commission, simply because you started by clicking the link from my website. And to help us both out, use the promotional code I’ve got listed next to the Tiny Prints link when you’re checking out (because Tiny Prints is awesome about always giving my readers a discount), and save money. The Holidays can be crazy! 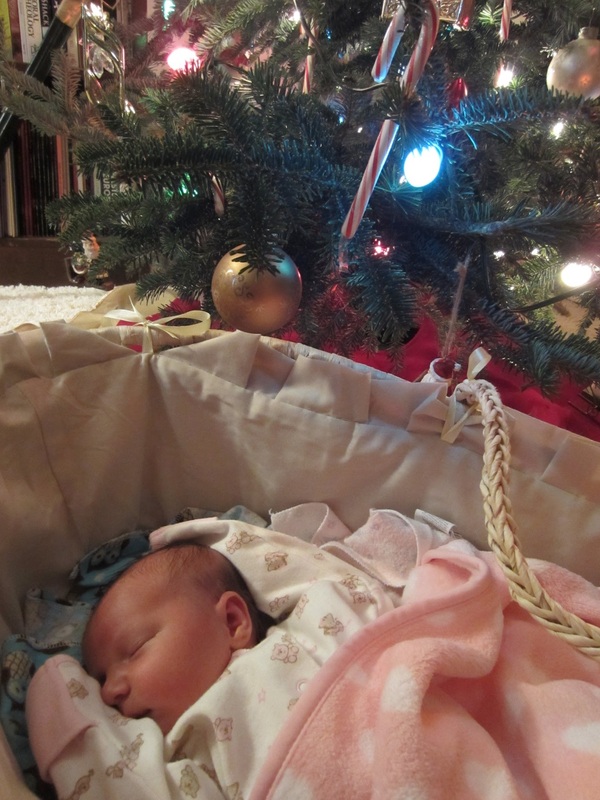 Last year, I did all my holiday shopping online because Ginny was born in the middle of December! Walmart Ship-to-Store Free really came in handy.